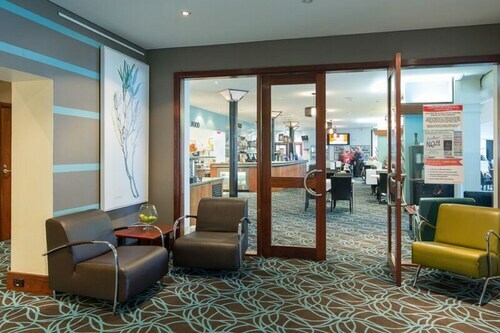 Situated in Kingscote, this hotel is within a 5-minute walk of Pelican Feeding and Kingscote Tidal Pool. Hope Cottage Museum and Soldiers Memorial Park are also within 1 mi (2 km). 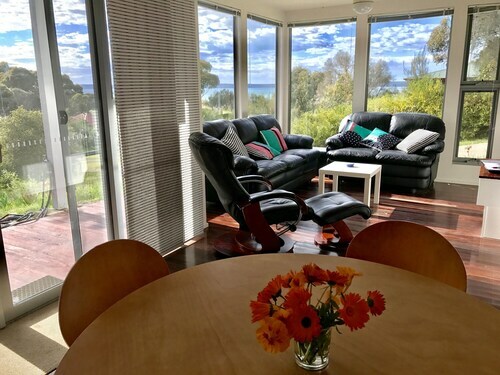 Offering direct access to the beach, this Kingscote motel is within a 10-minute walk of Kingscote Tidal Pool and Pelican Feeding. Soldiers Memorial Park and Hope Cottage Museum are also within 1 mi (2 km). Situated near the beach, this vacation home is within a 10-minute walk of Pelican Feeding and Kingscote Tidal Pool. Hope Cottage Museum and Soldiers Memorial Park are also within 1 mi (2 km). Situated near the beach, this motel is within a 10-minute walk of Pelican Feeding and Kingscote Tidal Pool. Hope Cottage Museum and Soldiers Memorial Park are also within 1 mi (2 km). If panoramic coastal views, cooling off on sandy beaches and fishing excursions are the ingredients for your ideal holiday, then take the next plane or ferry to Kingscote and take the plunge in one of our Kingscote hotels. This vibrant town is the capital of Kangaroo Island and can be found on the Island’s north coast, on the shores of Nepean Bay. Kingscote is home to some of the world’s most remarkable species including the world’s smallest penguin, the Little Penguins and the oldest bee sanctuary. Aside from its diverse wildlife, Kingscote is also known for being the first settlement in South Australia (established in 1836). 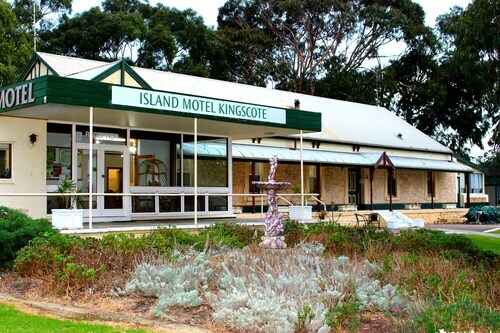 For a seaside adventure, pack your bags and book a Kingscote hotel. Whether you’re keen to sample the delectable local products, eager to get in touch with nature or want to learn more about the Island’s history – Kingscote has something on offer for all. You can satisfy your sweet tooth with free honey tastings at Clifford’s Honey Farm. For a taste of some of the finest cheese and yoghurt stop off at the Island Pure Sheep Dairy Farm. At the end of the day, walk to Kingscote wharf and take part in the pelican feeding. To see the Little Penguins, drive to Penneshaw Penguin Centre for a nocturnal tour with a guide (April to November is the best time to visit). For a day of relaxing, consider fishing off Kingscote jetty and going swimming in the tidal rock-surrounded pool. At Hope Cottage Museum you can take in the Island’s history with clothing, machinery and photos all on display. Close by is the Fine Art Kangaroo Island gallery where you can browse paintings and jewellery by local artists. For tales of the Island’s shipwrecks, go on the Island’s self drive trail and start at the Kingscote introductory panel. There is no public transport on the Island so the best way to get around is by taking a car on the ferry - the ferry terminal at Penneshaw is a 45 minute drive from Kingscote. If you’re taking a 30 minute flight from Adelaide you can a hire a car at the Island’s airport and drive 13km to get to Kingscote. Kingscote’s harbour views are a perfect back drop for a relaxing escape and the town is a great base to explore the rest of the Island. Less than an hour’s drive away you can watch sea lions on the beach at Seal Bay, climb sand dunes at Little Sahara and see the Island’s largest freshwater lake at Cape Gantheaume Conservation Park. From cottages, cabins to hotels and more, we’ve got a variety of Kingscote accommodation options to suit all travellers – check out our range today! 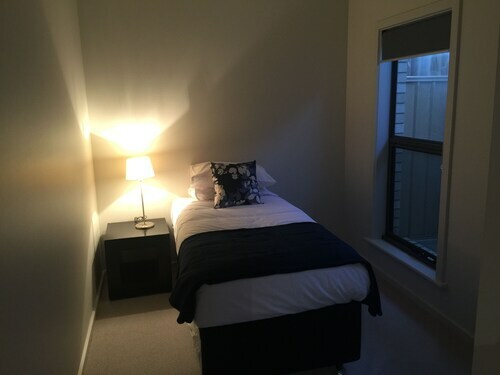 How Much is a Hotel Room in Kingscote? 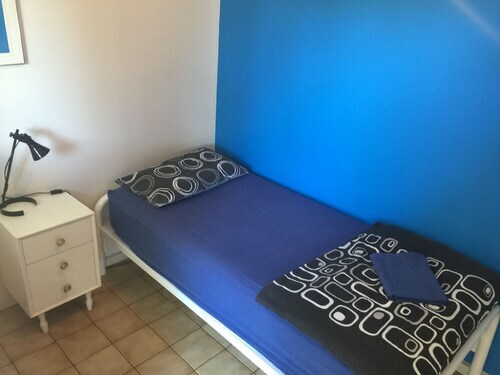 Hotels in Kingscote start at AU$100 per night. Prices and availability subject to change. Additional terms may apply.